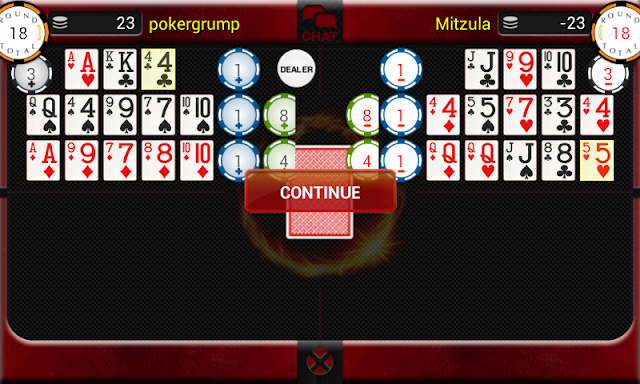 I installed a Chinese Poker app on my Android phone recently and have been playing quite a bit this weekend. Here are three hands of some interest that have come up. 1. 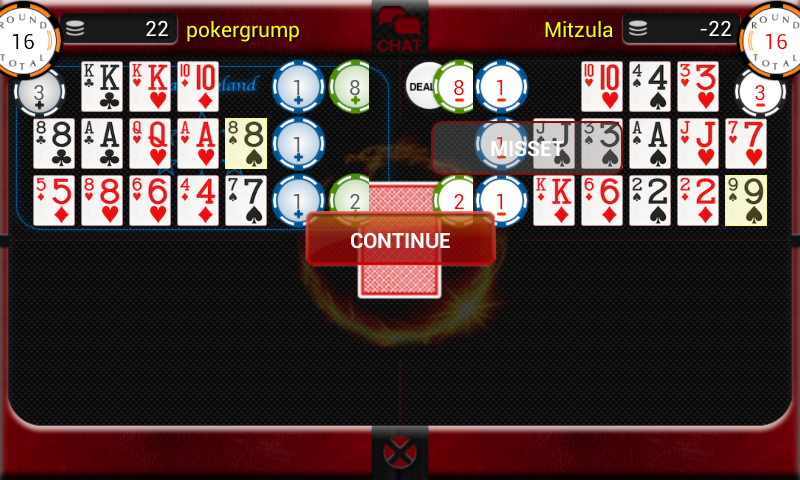 This is the first time I managed to make a flush both in back and in the middle. Nice bonuses ensue. 2. This was a sticky dilemma. At first glance, that ace of diamonds looks beautiful. But in reality, it's probably the worst card in the deck that could have come. As David Sklansky would say, DUCY? The only possible play that does not trigger a fouled hand is to put it on top (which, incidentally, makes the strongest possible hand there--three aces), then hope for exactly the ace of clubs plus another diamond. But a tiny chance to survive is better than none at all. The game was suspended after I made that move, so I don't yet know whether I will get extremely lucky and pull off an amazing hand with an ace-high flush, a king-high flush, and trip aces. Whee! My first trip to Fantasyland! Sadly, I was so excited that I failed to screenshot it, but I made a full house in back and a straight in the middle. I scooped and won some ungodly bonus, giving me the lead by something like 38 points. 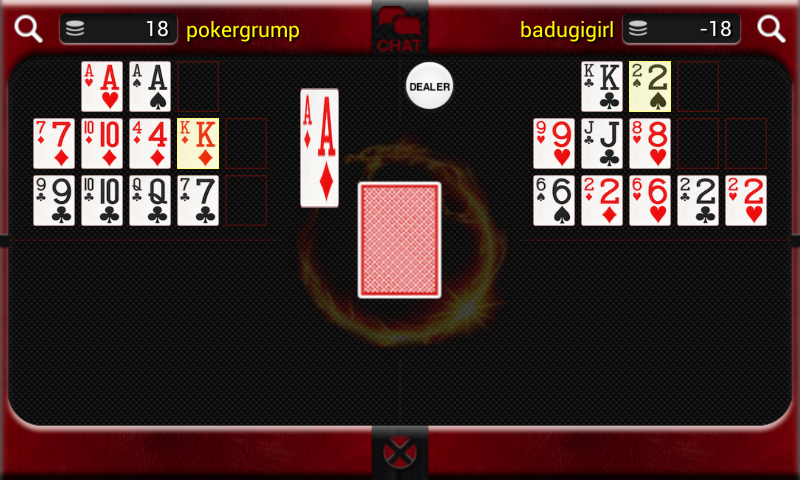 I might be up at 5:30 a.m. playing a little, but I'm not addicted. I could quit anytime I wanted to. No, really! Just one more game.